November 15, 2010 by Alphageek in "alphageek", "review", "urbanspoon"
Mrs. Alphageek suggested we try a new place on the way home from a football game. She told me that the Chef running the restaurant had a lot of experience. While I listened to his background, I really just wanted to dive into the great smelling food that was around us. 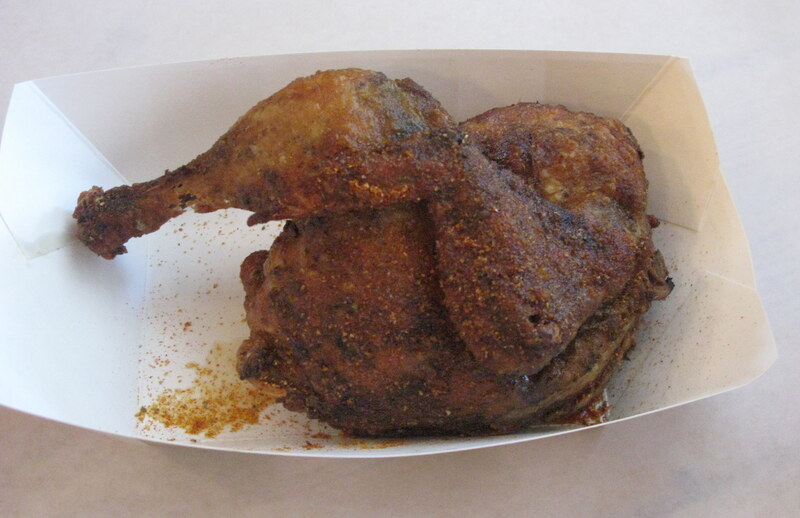 The restaurant, Barbeque Exchange, promised a wide variety of smoked meats, as well as prepared on site side dishes. When it comes to barbecue, I am certainly no purist. I think the best barbecue is what is in front of you while you are eating. You will never hear me condemn a particular restaurant because of the style of barbecue they serve. I just want you to know I do not favor one style over any other. 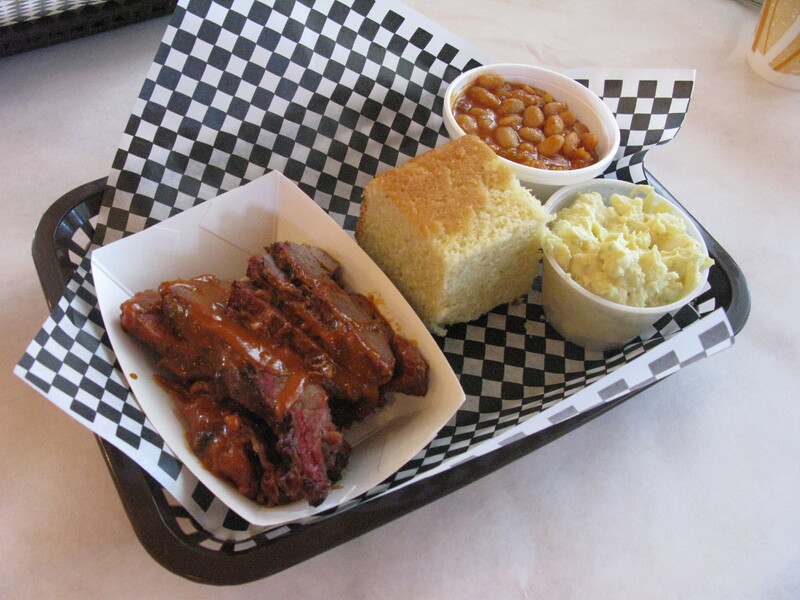 I looked over the menu, and decided to get brisket with baked beans and potato salad. The dish also includes a bread, and I decided on corn bread. I first tried the brisket. I will say it was great, with a good smokey character. I only wish I could get that kind of flavor when I smoke something at Alphageek Headquarters. I tried the brisket with each of the four sauces that are provided on the table, and I can testify that all of the sauces are delicious. I moved on to the beans, which had a great flavor all their own. I enjoyed the great corn bread as well. I will say the potato salad, while good, does not live up to the made on site promise of everything else I tried. I moved on to try Mrs. Alphageek's chicken. The chicken is great and I recommend you try it with the Craig's Carolina sauce. She also had some of the various kinds of pickles that they offer. She shared a spicy one with me, and even I thought it was spicy. You should go to this place for the pickle selection alone! She shared here mac-and-cheese with me, and I found it to be great because it was made from white cheddar cheese and tasted as if it just came out of the oven. The Barbeque Exchange offers some great sauces to go with their great meats. While there, we noticed lots of to go orders going out, as well as folks who seemed to like their food eating in. Mrs. Alphageek reminded me that she brought some of their ribs home several weeks ago. I am glad I did not judge the place simply by those ribs. While they were delicious, they still had the membrane on, which is a no-no in my book. I would recommend stopping by this great place in Gordonsville, on your next trip to the nearby Civil War Exchange Museum or Gordonsville, which ever comes first.